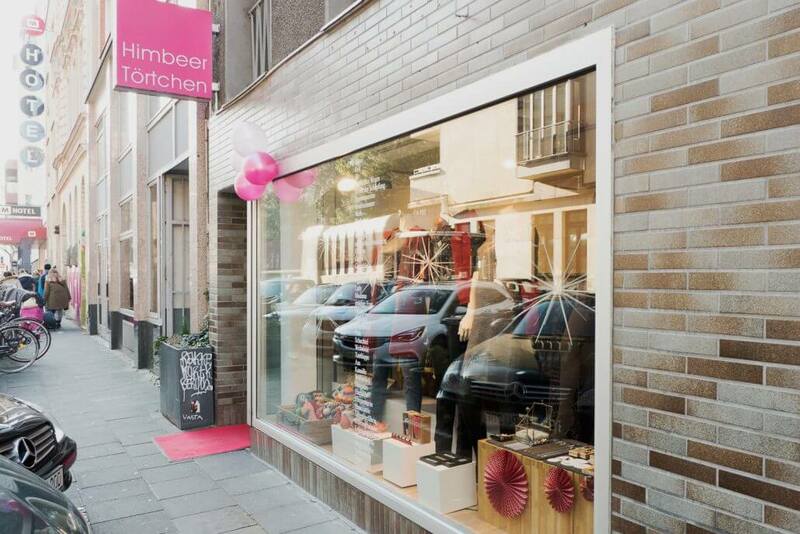 Cologne is not only a shoppers’ paradise when it comes to fashion. Besides its jewellery shops, it is also home to a number of designers producing some very interesting work who are certainly worth a closer look. Here is my personal selection of designers and stores that I think you should check out. 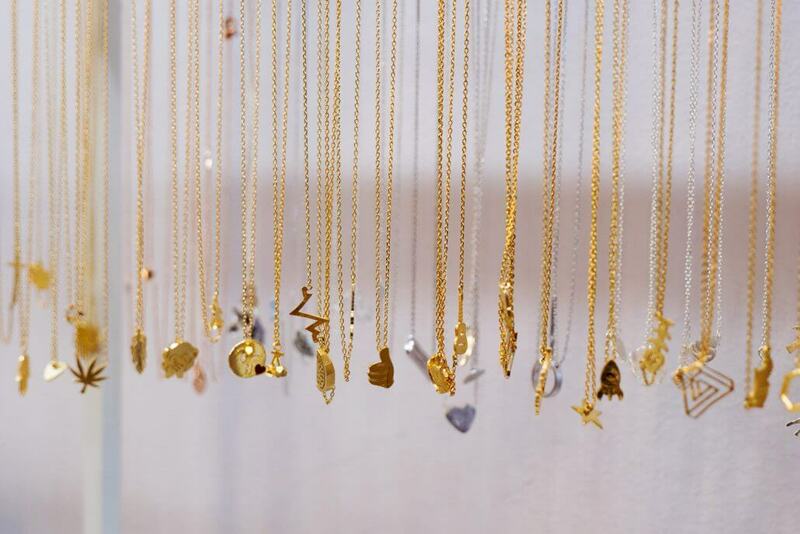 In addition to iPhone cases, sweaters and T-shirts, Elisabeth Articus also designs necklaces and bracelets. Her collections are usually limited editions, which gives them a certain exclusivity – so you’d better be quick! 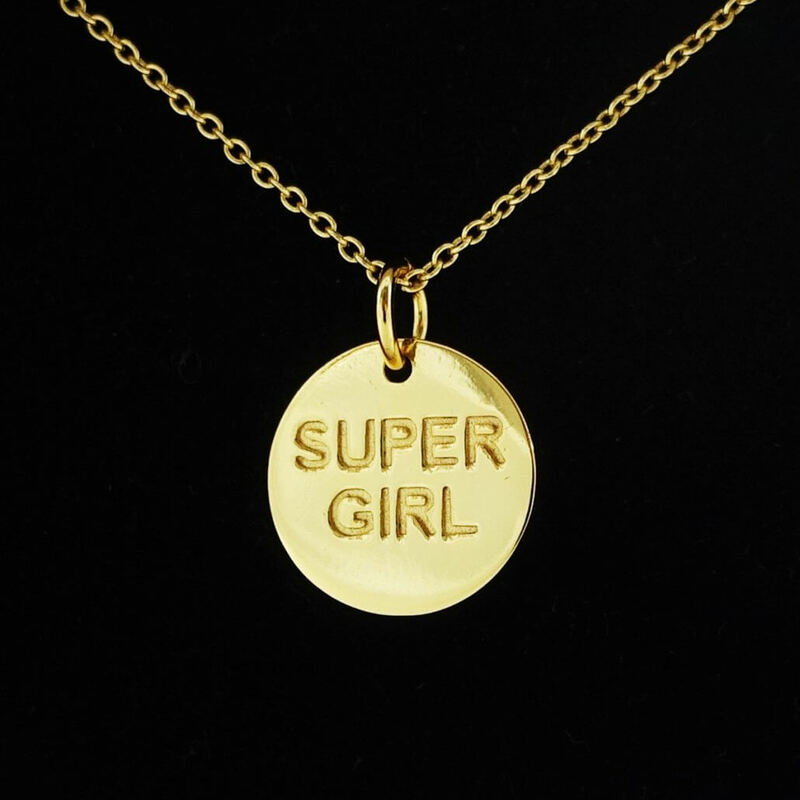 Her pieces are feminine, with tongue-in-cheek messages like her necklace featuring “Super Girl” in print. The designs are cool, clean and edgy, and never too playful. 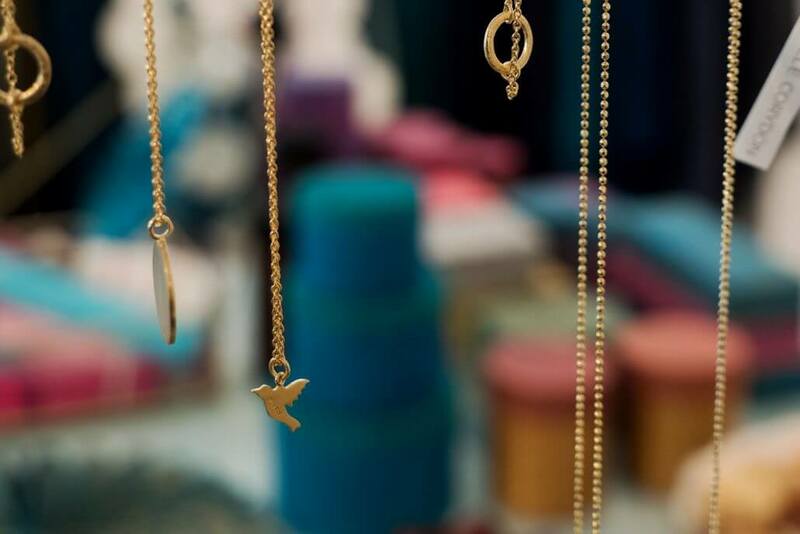 Nanu Alwin’s product range is all about necklaces and bracelets that you can personalise by choosing from 23 colours to match any outfit. 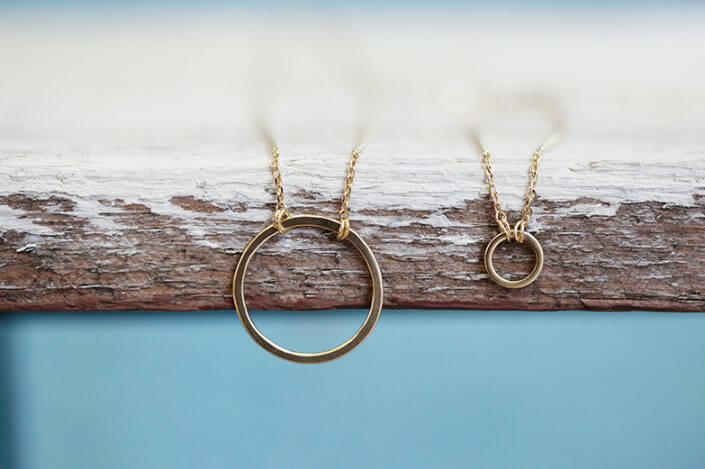 Size-adjustable rings and stud earrings round off the range. The jewellery is manufactured using gold-plated brass, vegan Alcantara fabric and smooth leather; the stud earrings are made of stainless steel. 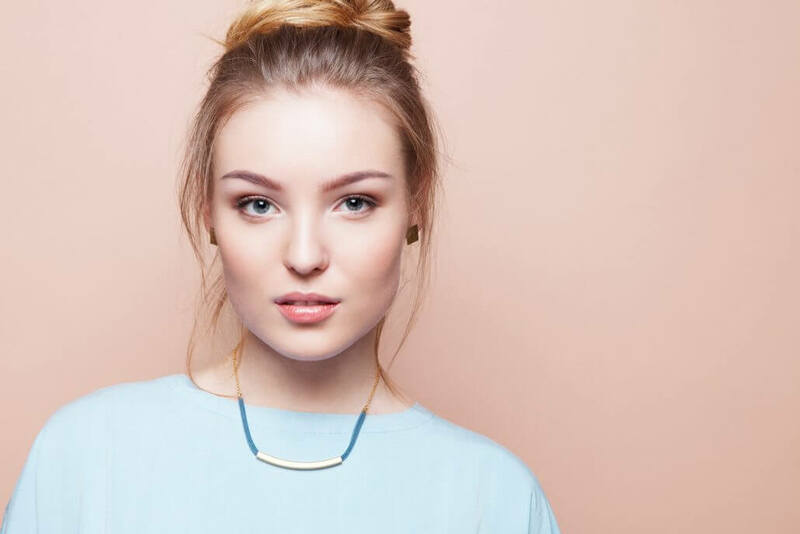 The feminine designs combine gorgeous shapes with light-coloured materials. All pieces are fairly produced right here in Cologne. Two years ago, Phillis Maas founded Nuwel and has since made a name for herself with her engraved jewellery. Necklaces and bracelets can be personalised with up to eight characters. 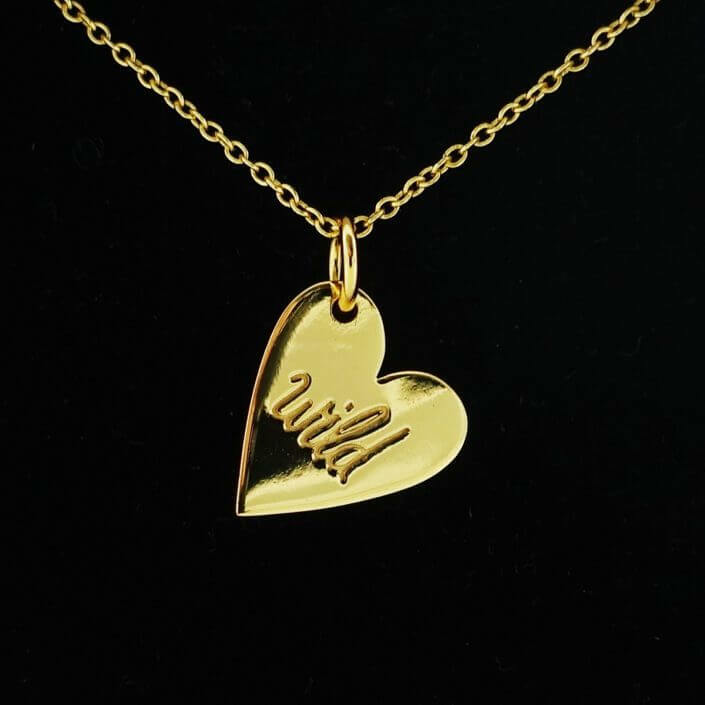 Every piece is engraved specially to order, and they’re all produced in Cologne. 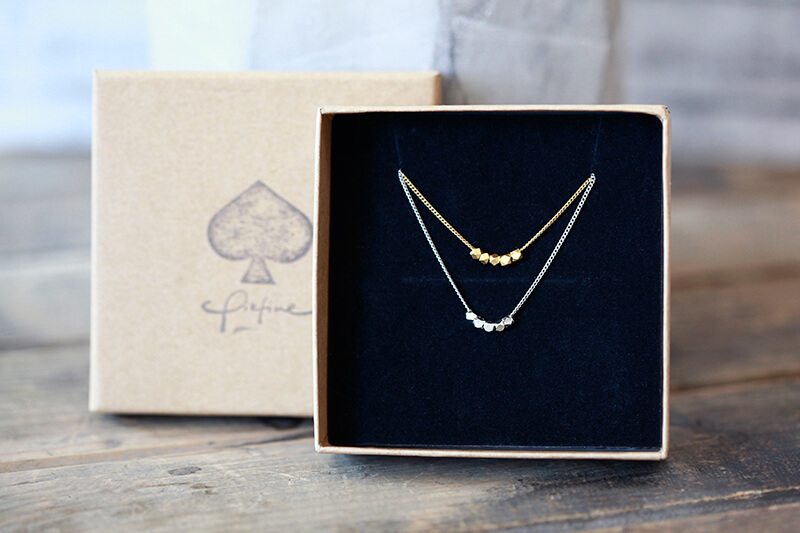 The materials are of high quality; Phillis uses 925 sterling silver in its pure state or gold-plated. Her work is currently mainly available online, but a small selection is on sale at Glück und Glanz. 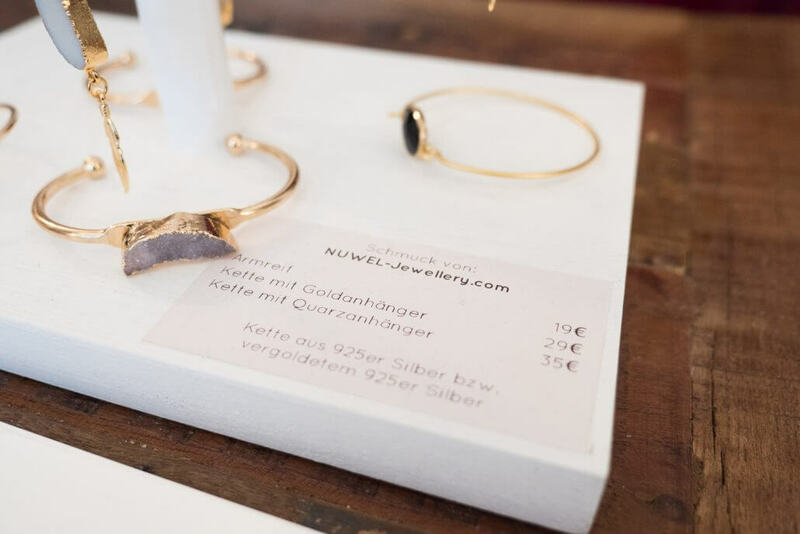 Sisters Nora und Clara began to produce timeless, simple accessories in small quantities in their Ehrenfeld studio in 2011. 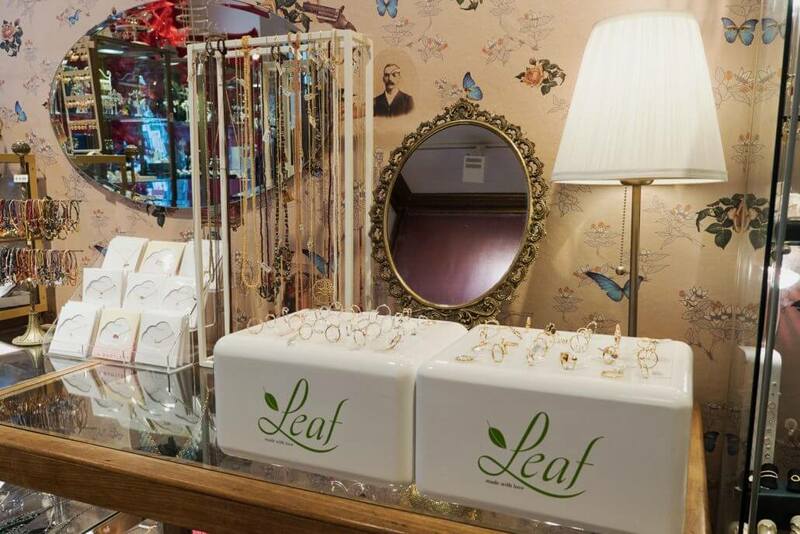 Today, their product range comprises bags, small leather goods, jewellery, knitted accessories and even hair bands. 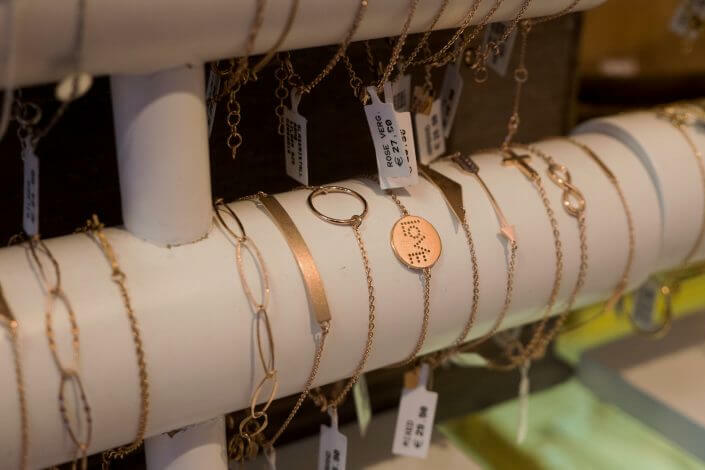 The sisters feel very strongly about ethically and environmentally responsible production, so it’s no wonder that Pikfine is all about sustainability. For one, there’s the timeless design; for another, recycled packaging materials. The designs are unostentatious, quietly elegant and hence wearable on any occasion. 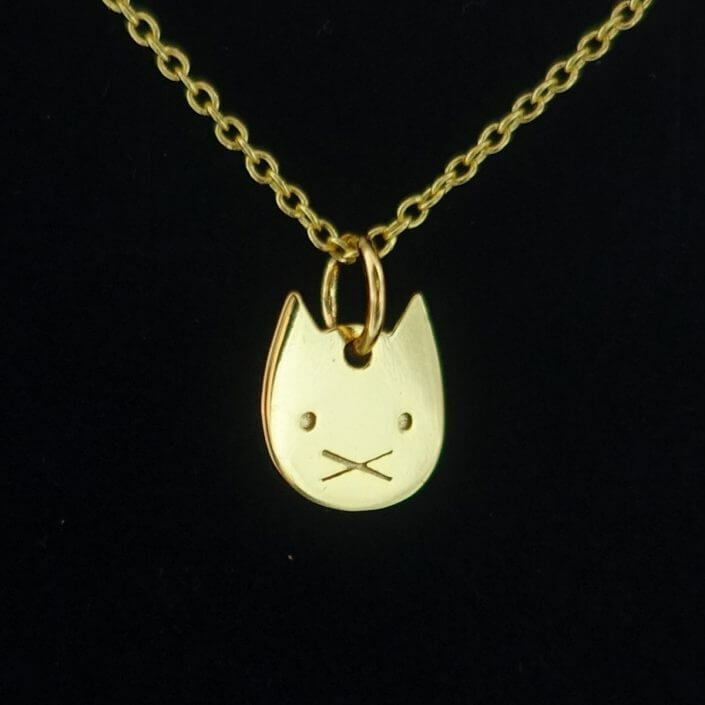 Nora and Clara use rhodium-plated brass, which is great for allergy-sufferers, and alternatively gold-plated brass. 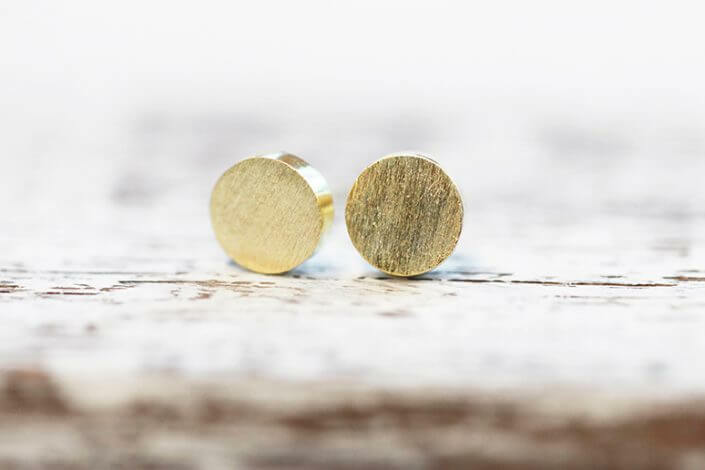 Their stud earrings are made of 925 sterling silver. 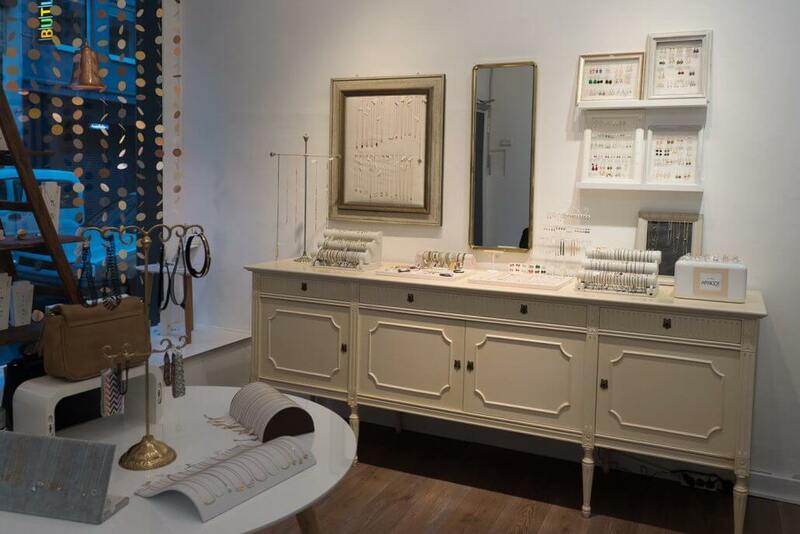 Since mid 2015 Apricot Room has been at Friesenwall in a bright and friendly space where you can buy high-quality fashion jewellery made of plated brass but also real silver pieces, many adorned with gorgeous semi-precious stones. The necklace and bracelet pendants are feminine, with motifs ranging from hearts and typographical characters to simple flat platelets. You can also buy online. Tucked away in a side street in the Rathenau quarter is the small, sweetly named Himbeertörtchen (Raspberry Tartlet). In her boutique Mira Gorschlüter sells fairly produced fashion plus a small selection of jewellery. 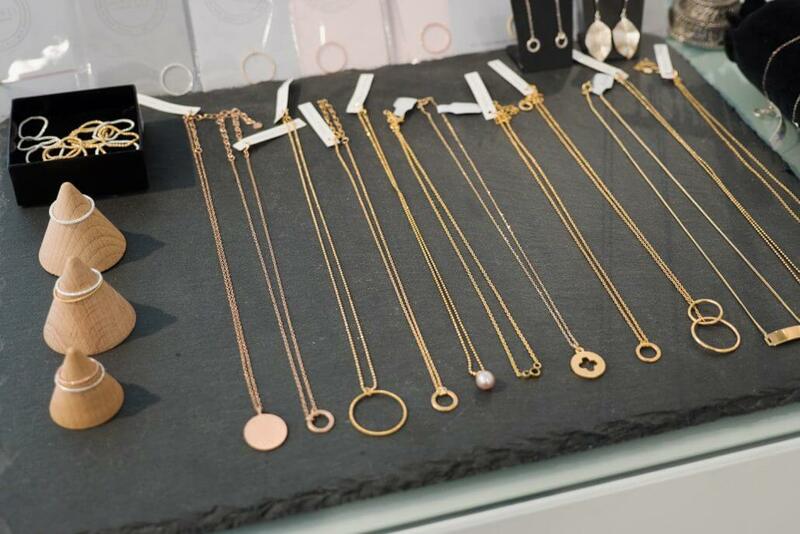 The pieces are subtle, great for everyday wear and easy to combine with other pieces. Labels such as Pernillde Coridon, Jukserei and Tinchens have a timeless design and use high-quality materials. 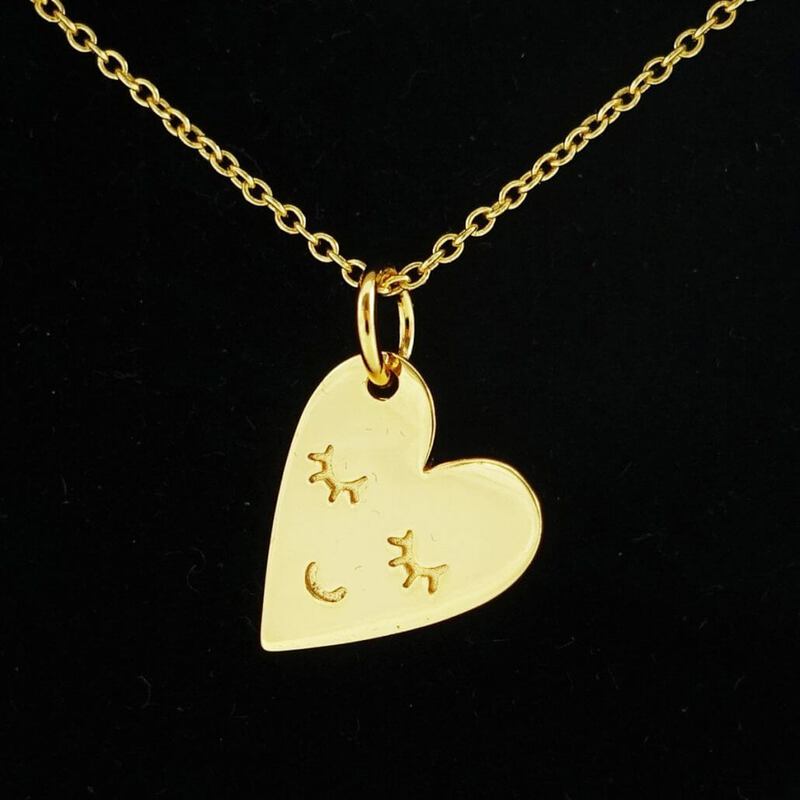 The jewellery is made of 925 sterling silver, with some pieces gold-plated. 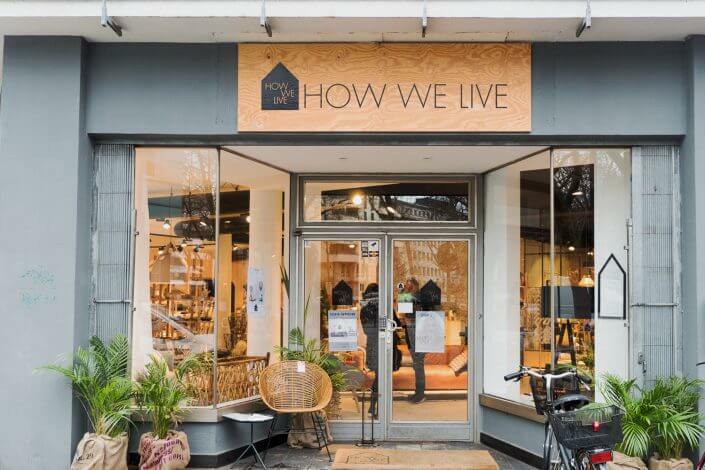 How We Live, an interior design oasis, sells Scandinavian furniture and jewellery from the By Boe label from New York. 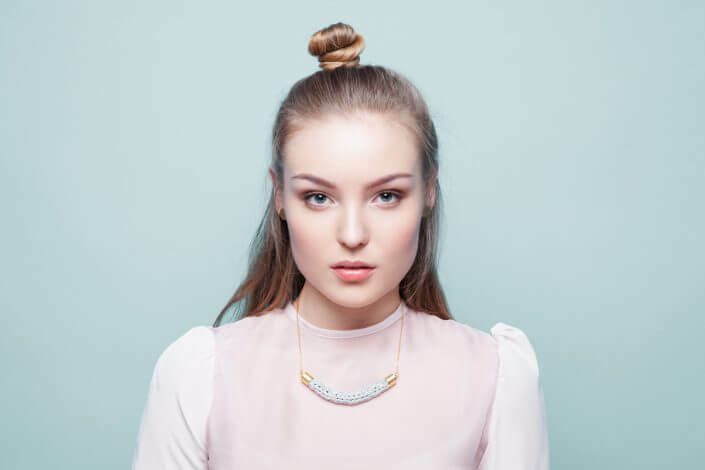 By Boe stands out with its delicate and extraordinary designs, of which a wide range of necklaces, rings, bracelets and stud earrings are available here. The material is of high quality: all pieces are made of gold-plated sterling silver. Many of them are gold-filled, making chipping or flaking impossible. 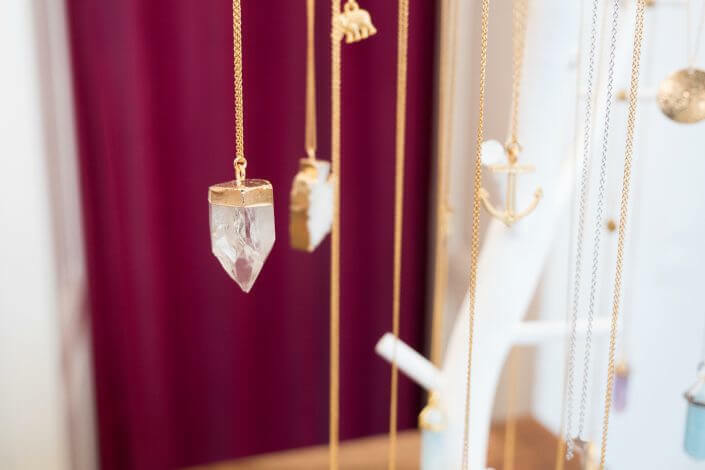 If you have a liking for the unusual and don’t mind spending just a little bit more, you should definitely drop by. 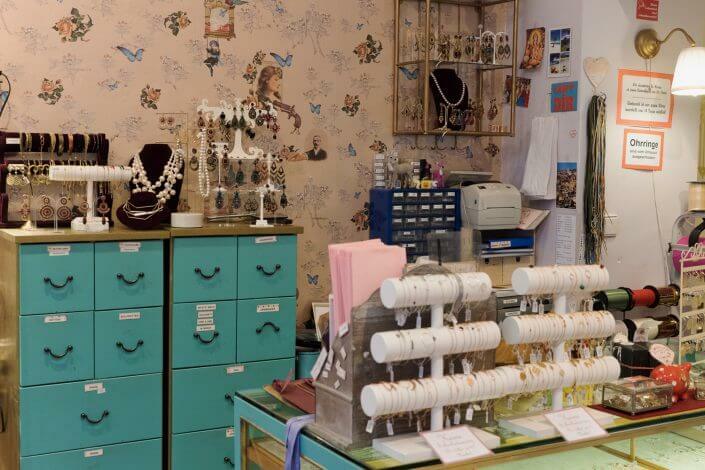 Silvana Santarossa has occupied her store on Aachener Strasse for a decade. The intricate stucco ceiling grabs your attention first, followed by the playful wallpaper designs. 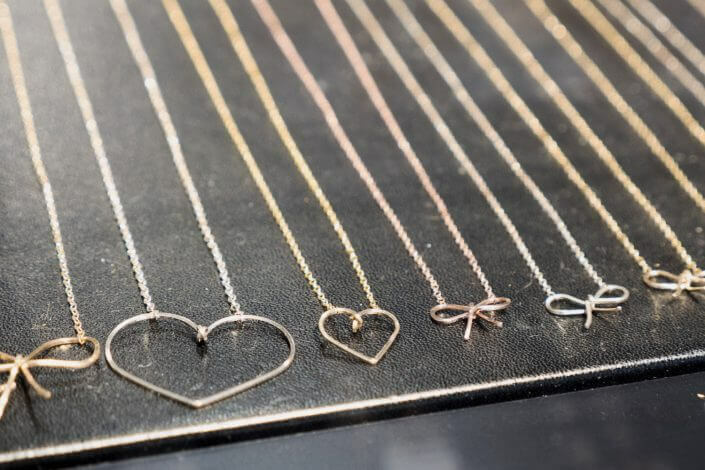 Ms Santarossa is all about individuality and while she only sells high-quality jewellery, it’s never less than affordable. She is constantly on the go, travelling between Paris and Barcelona in search of new pieces. 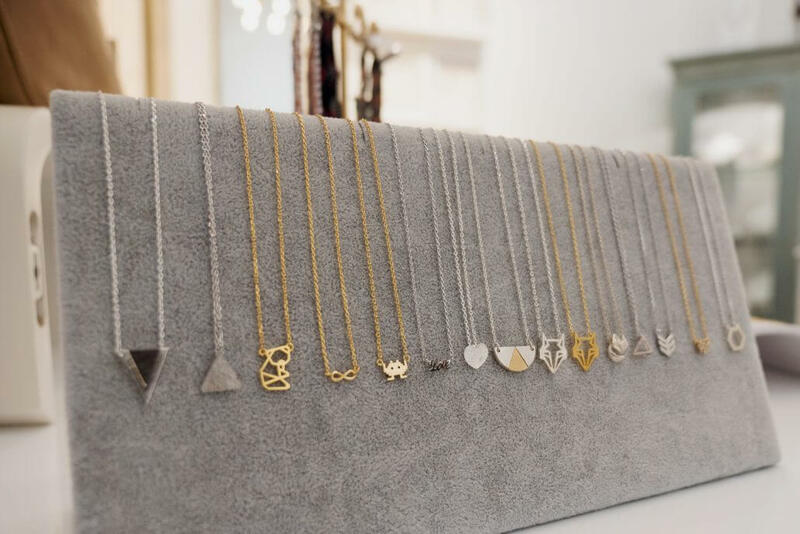 Her range mainly consists of individual pieces; only few are available more than once. There’s designs to suit all tastes, from sober to playful. 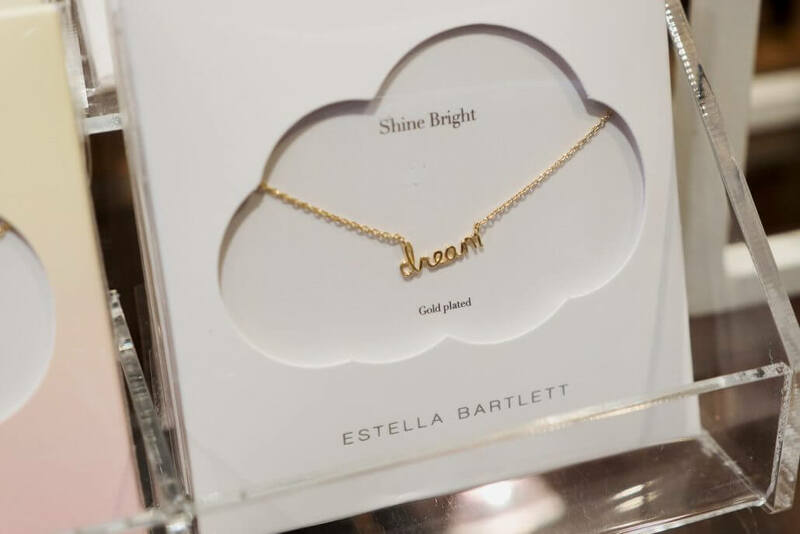 Materials include brass, silver and gold-plated silver, and gold-plated stainless steel, with some pieces featuring semi-precious stones or Swarovski crystals.